Compact, but had everything I needed, views in two directions. It is in amazing location, just next to the train station and 10 minutes walking from restaurants. Ideal for a couple but be aware there are stairs to climb to apartment and to the bedroom loft. Kitchen small and well equipped with what we needed. Light and airy apartment and nicely appointed. Supermarket next door. Main train station across the road. Only a few blocks away from the main part of old town . Great Location close to rail station. Sara was very helpful . Apartment very clean and quite. The apartment was everything I expected, neat, tidy and comfortable. Easy access to the city by foot. A convenient supermarket downstairs where I could purchase groceries. Great location and appartment. Everything you would need is included. The location is superb and the quality of this boutique apartment on the top floor of an older building just opposite the railway station was a complete and welcome surprise. Our host was waiting for us outside and in fact found us before we found him! 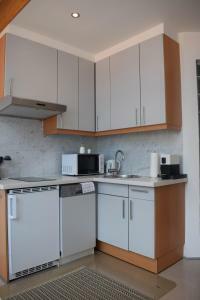 The apartment is very modern inside and extremely well maintained and scrupulously clean. The bed was amazing, large and luxuriously comfortable with beautiful European style pillows. Bathroom and kitchen were both lovely and clean and modern, and we were surprised that it had a washing machine and dishwasher. 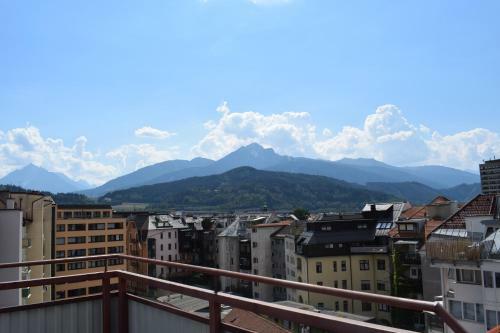 We would/will definitely stay here again when we return to Innsbruck. 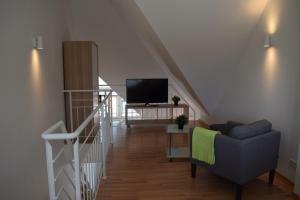 Excellent location, beside central rail station and near to Old Town and to shops (including late and Sunday opening MPreis supermarket in station). Self catering easy. Well designed (on two levels), spacious and nicely and thoughtfully (Ikea) furnished flat (includes washing machine and dishwasher); lovely balcony with view to mountains to the south. Friendly and helpful responsible staff who met us by arrangement after our rather late Saturday evening arrival. It was a lovely clean apartment, and we were well kitted out with all the things we needed. The bed was comfortable and the kitchen area was clean and easy to use! The location of the apartment is FANTASTIC! 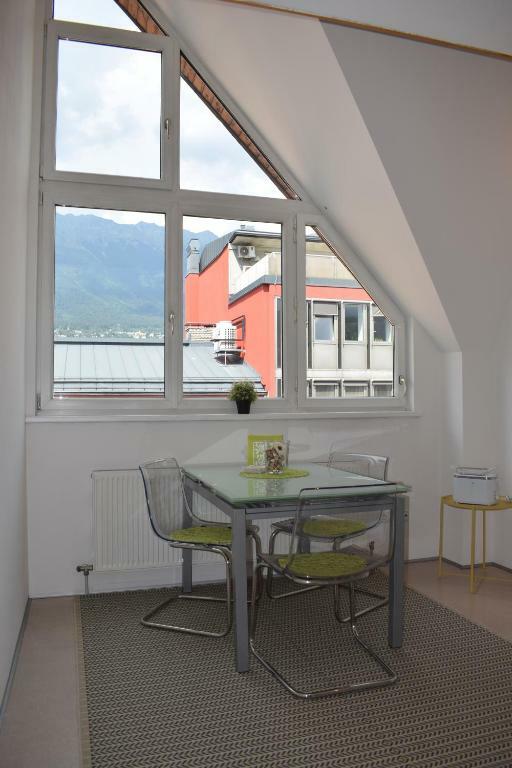 Lock in a great price for Maisonette Apartment am Bahnhof - Adults only – rated 9.1 by recent guests! 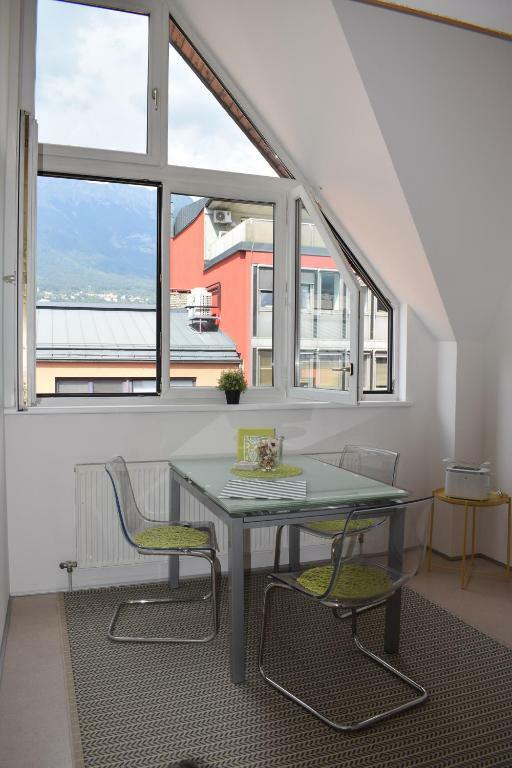 One of our top picks in Innsbruck.Located in Innsbruck within an 8-minute walk of State Museum of Tyrol - Ferdinandeum and 0.8 miles of Innsbruck Imperial Palace, Maisonette Apartment am Bahnhof - Adults only has accommodations with free WiFi, a flat-screen TV and a kitchen. 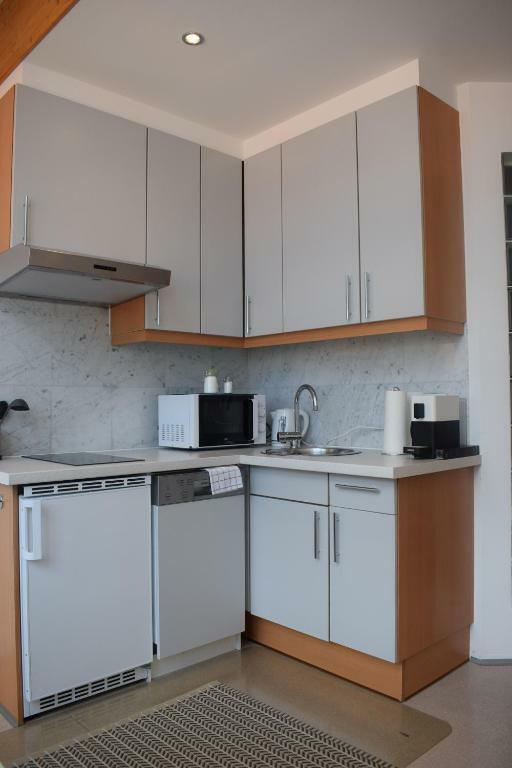 All units are equipped with a microwave, toaster, a coffee machine, a fridge and electric tea pot. Some units have a terrace and/or a balcony with city views. Golden Roof is an 18-minute walk from the apartment. The nearest airport is Kranebitten Airport, 2.8 miles from Maisonette Apartment am Bahnhof. 뀐 Located in the real heart of Innsbruck, this property has an excellent location score of 9.5! 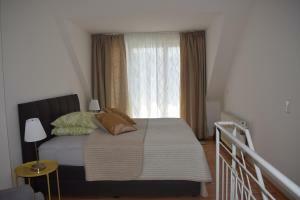 When would you like to stay at Maisonette Apartment am Bahnhof - Adults only? 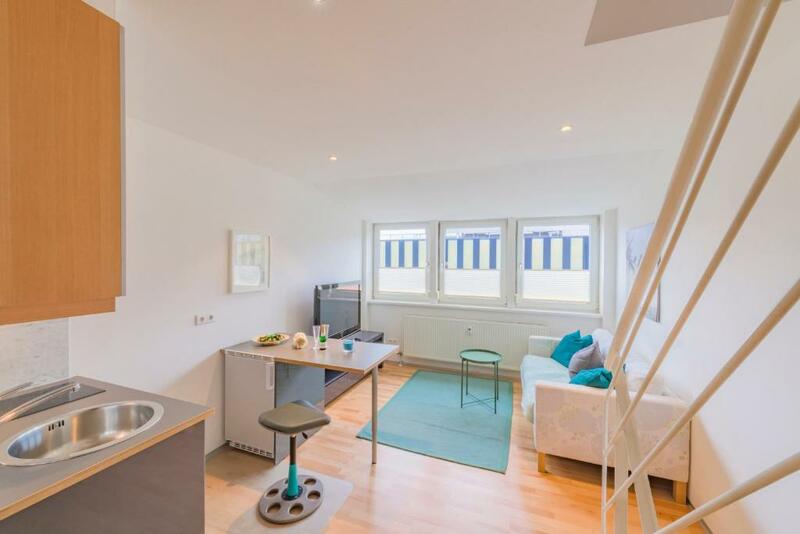 This apartment has a kitchenette, view and soundproofing. This apartment has a balcony, tile/marble floor and soundproofing. Area Info – This neighborhood is a great choice for travelers interested in shopping, old-town exploration and atmosphere – Check location Excellent location – show map Guests loved walking around the neighborhood! 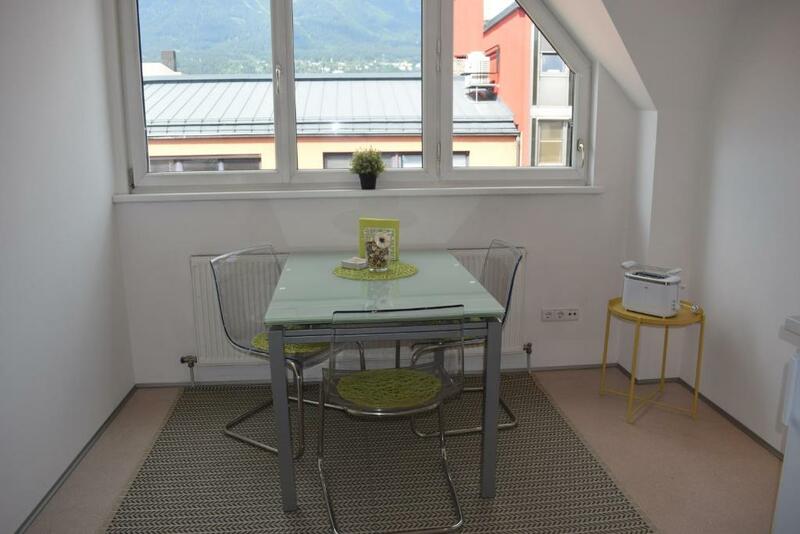 House Rules Maisonette Apartment am Bahnhof - Adults only takes special requests – add in the next step! Please inform Maisonette Apartment am Bahnhof - Adults only of your expected arrival time in advance. You can use the Special Requests box when booking, or contact the property directly using the contact details in your confirmation. We walked past the property when we first arrived. A larger sign with property name on the wall of the building would help. Not enough comfortable seating. Needs another armchair. The apartment is above a night club so it is very dirty outside the front door, and people congregate in the doorway. Lovely clean modern and well equipped apartment. Everything was excellent, however, it would have been even better if there were same basic toiletries. On arrival I found the WiFi would not connect. Having traveled from abroad, alone, and without roaming on my phone I was not able to communicate with my family to confirm my arrival. I walked across to to the station and contacted my host who indicated they would investigate the next day - however it was not fixed at all during my stay. On arrival the toilet was blocked and we were shown another apartment. This was not to our satifaction as we booked a Delux Apartment. We were then told this is all that is available. There was no hot water until the next day as the hot water only heats at night. 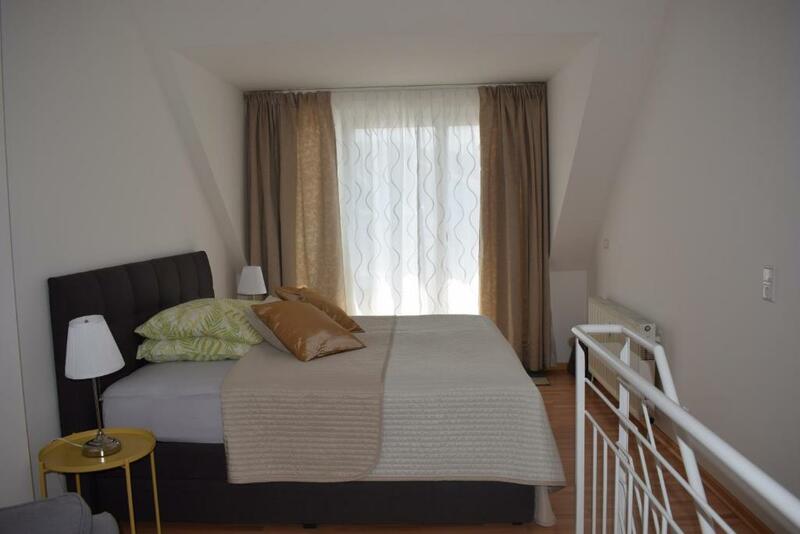 The picture shown on booking.com is not what we got. I specifically asked for a lounge downstairs. This hotel is not suitable for Seniors with troubles climbing stairs. Location was great. Apartment was Clean. There was nothing we didn't like about this apartment. However, we would suggest that it is not suitable for anyone who has problems with stairs. The stairs up to the loft bedroom are rather steep, but nevertheless, the loft bedroom was lovely. The water pressure was quite low - if someone was using the tap in the kitchen sink, the water in the bathroom/shower wouldn't work! Too noisy, much too hot with closed windows, specially the bedroom.